We offer worldwide hotel and accommodation bookings for up to 12 months in advance. Established in 1989(?? ), we provide our consumers with over 48,000 accommodation choices in over 5,600 cities worldwide throughout 126 countries. 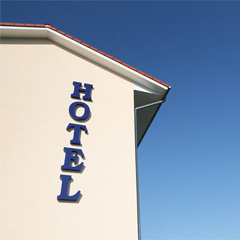 We deliver discounted hotel rates all year round - up to 50% off normal hotel rates. Direct relationships with hotels combined with strong purchasing power puts us in the position to negotiate exceptional rates for our consumers. We provide a wide selection of accommodation across 126 countries. We offer an extensive range of one to five star properties in a variety of styles including luxury resorts, serviced apartments, budget motels and global hotel chains. We aim to provide you the best travel services to suit your needs. We make special arrangements with leading hotel chains to give you competitive rates and allow you to choose from a wide selection of hotels across the globe. Contact us today to enquire about Hotel Reservations Worldwide. Apartments Barcarola Lanzarote is a comfortable complex of very well-equipped apartments in the centre of Puerto del Carmen, next to the beach and set in an oasis of native vegetation.